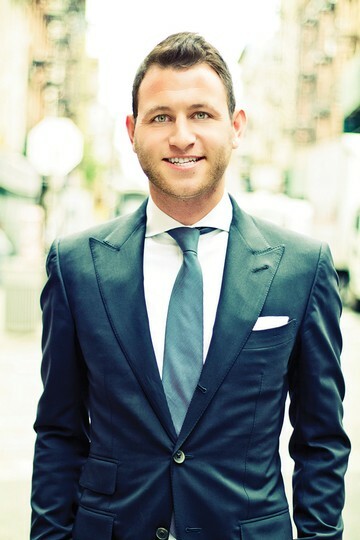 Binyamin Weinstein grew up nearby in Rockland County, NY but was consistently drawn to the hustle of Manhattan until he moved to the city permanently in 2018. Beginning his sales career by reselling electronics, Binyamin soon made the transition into real estate because of the industry’s limitless possibilities for professional and personal growth. He quickly found success after closing a historic deal at 70 Vestry in TriBeCa, where he negotiated the price from $65 million to $55 million on the three-story penthouse. This sale set the record as the largest residential building purchase in Tribeca’s history, and continues to be one of Binyamin’s proudest professional moments. There is never a dull moment in real estate and Binyamin is here to guide you through the process seamlessly. He recognizes the importance of communication during any real estate deal and is personable yet concise while conveying information. Binyamin also strives to develop relationships with clients that transcend the transactions he is making. He is an ambitious professional who remains patient and dedicated to his clients during the entire process. Binyamin now resides in the Upper West Side where he spends time exploring the area that is full of rich, cultural heritage. In his spare time, Binyamin enjoys golfing and all other types of sports. He has been married to his high school sweetheart for six years.